Can we talk about for a minute how quickly this year went? 2018 went by super quickly and it’s hard to believe, but guess what time of the year it is? It’s time for the Devoted to Dew Skincare Secret Santa 2018 Exchange! It was such a huge success last year and we wanted to bring it back so we can spread the joy. 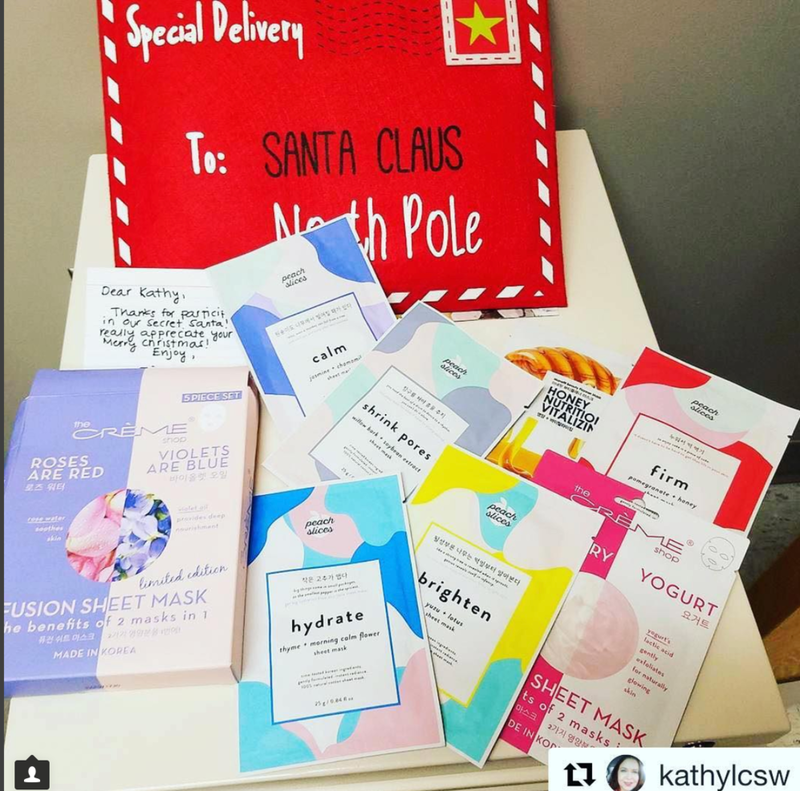 For those of you that are joining us for the first time, we created the Skincare Secret Santa Exchange as a way to engage with the AB community and for everyone to have a little fun and kick off the holiday season. If you’re new to the exchange, create an account on Elfster (it’s free and secure!). If you’re a returning participant sign in using last year’s account. Insert your Instagram handle and your skin type as your Elftser nickame. Create a wishlist on Elfster to tell your Secret Santa what you want or after names are drawn, send an anonymous message of your skin type/preferences to your Secret Santa through Elfster if you want them to surprise you. Name draw will happen on November 24th, Elfster will send you an email notifying you who your Secret Santa is. Deadline to ship your gift is December 15th, to make sure everyone gets their gift in time for Christmas. Be sure to upload shipping confirmation or shipping receipt to Elfster so your Secret Santa can track the package. Be sure to include your instagram handle with your gift so your Secret Santa knows who it’s from. Post what you received with #DevotedToDewSecretSanta2018 and be sure to tag @devotedtodew and your Secret Santa! We will repost everyone’s gifts! 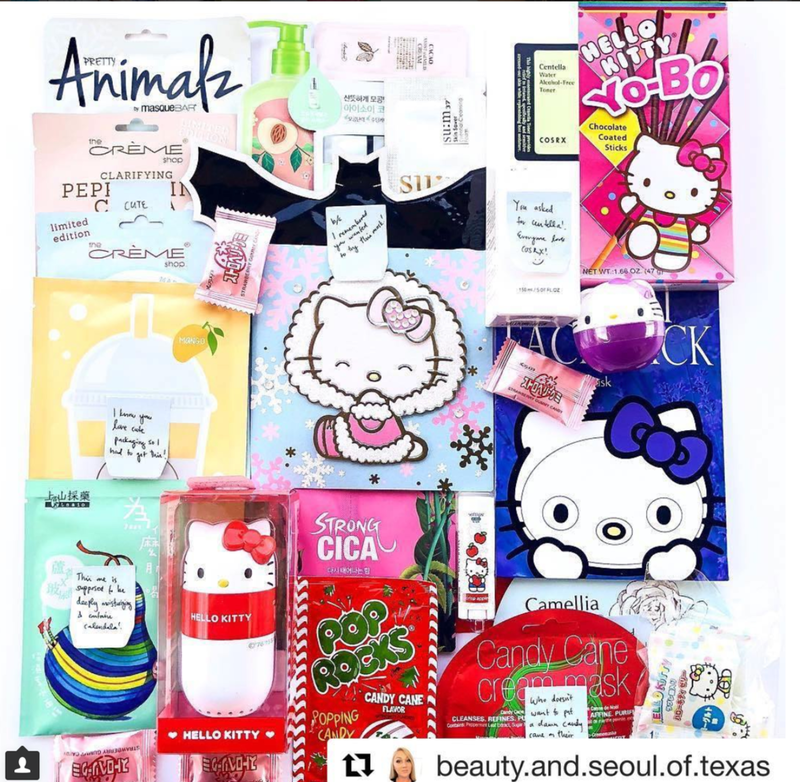 Include your Instagram handle when you send your gift so your Secret Santa knows who it’s from! Serious participants only, participants that do not ship a gift or leave your Secret Santa hanging will be banned from future Devoted to Dew giveaways and events. Last year, Team Dewy got really into the exchange and we had some amazing exchanges happen. Check out some pictures from last years exchange! We are super excited about this and hope everyone has a good time! Feel free to reach out to us if you have any questions. Please note: Devoted to Dew is not responsible for any lost gifts/delays, gifts that are not received or shipping costs. We are not affiliated with Elfster. We’ve used Elfster before and had good experiences with it, which is why we decided to use this service.